Before I talk about Octomore 7.3, I realise that Malt might get a lot of new readers who might not know I’m a big fan of Bruichladdich. I have visited the place and tasted a good number of their whiskies (and they’ve made lot of them). 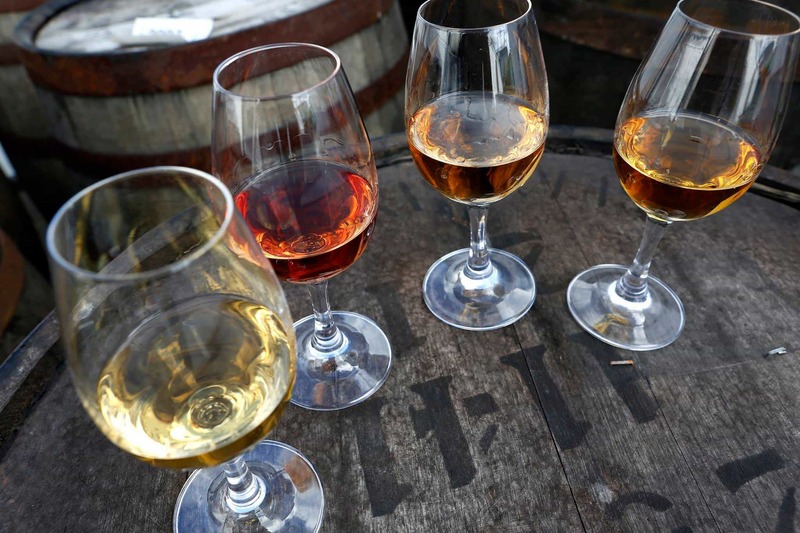 With that disclosure, it’s not to say I’m a fan of absolutely everything, but with some distilleries I think it’s fair to say that there’s something about its soul, or rather something about its spirit, that just connects with you. 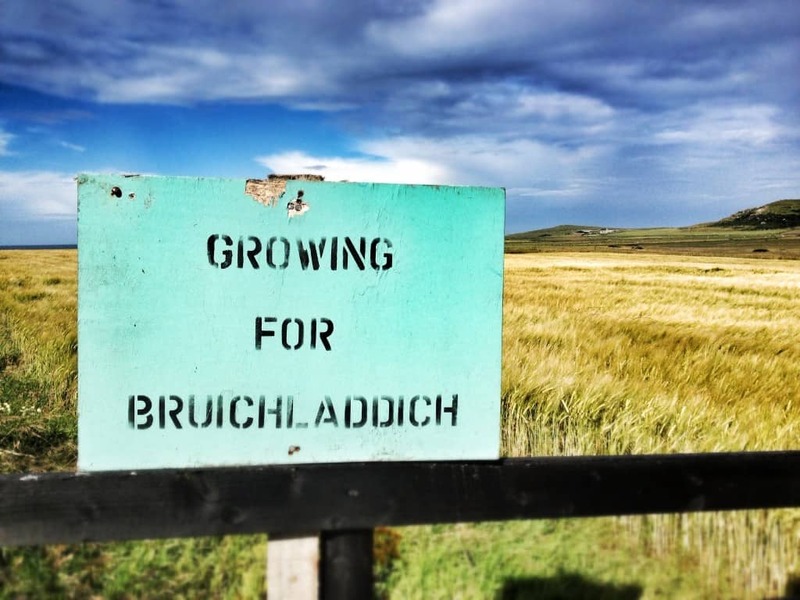 So I won’t waffle on too much again about Bruichladdich when you can read older posts. What I will talk about instead is peat. I quite often neglect the fact that many new readers might not know a huge amount about peat. Bruichladdich Octomore is the world’s most heavily peated whisky. But what does that even mean? If you’re already a whisky geek then you can just skip ahead to the Octomore tasting notes. On Islay, as with many parts of Britain, much vegetation and other organic matter has decayed naturally over thousands of years to create peat bogs. So today’s peat began its life as plant matter way before Caesar landed ashore on Britain, way before the Iron Age, and more or less around the time that the first piece of Stonehenge was hauled into place. Regions with huge quantities of peat are often peatlands – bogs or mires. It’s a bit damp in a bog, but when peat is cut out of the land (peat “sods”) by elderly fellows in flat caps and left to dry for up to a month, peat can be used as a form of fuel. And in Scotland, easy access to such widely available fuel meant that peat was often used in whisky production to dry malted barley that had just been tricked into germination. The process is known as kilning. But unlike other methods of heating the barely, such as coal, gas and oil, peat infused the grains of malted barley with a peculiar – some might say addictive – flavour. Needless to say that different regions have different vegetation, which creates a different kind of peat. So Islay peat will give different flavours to the whisky, compared to peat from the mainland or anywhere else. The peatiness of a whisky is pretty much about the PPM (parts per million) phenol levels. It’s rare to see PPM on the label of a whisky. Octomore is one of the few that does display this, but then Bruichladdich is one of the rare distilleries that isn’t afraid to tell you pretty much everything about the whisky on the bottle itself. As a rough guide, Ardbeg has malt phenol levels of over 50 ppm; Highland Park around 35-40 ppm; and old Brora between 7 and 40 ppm. 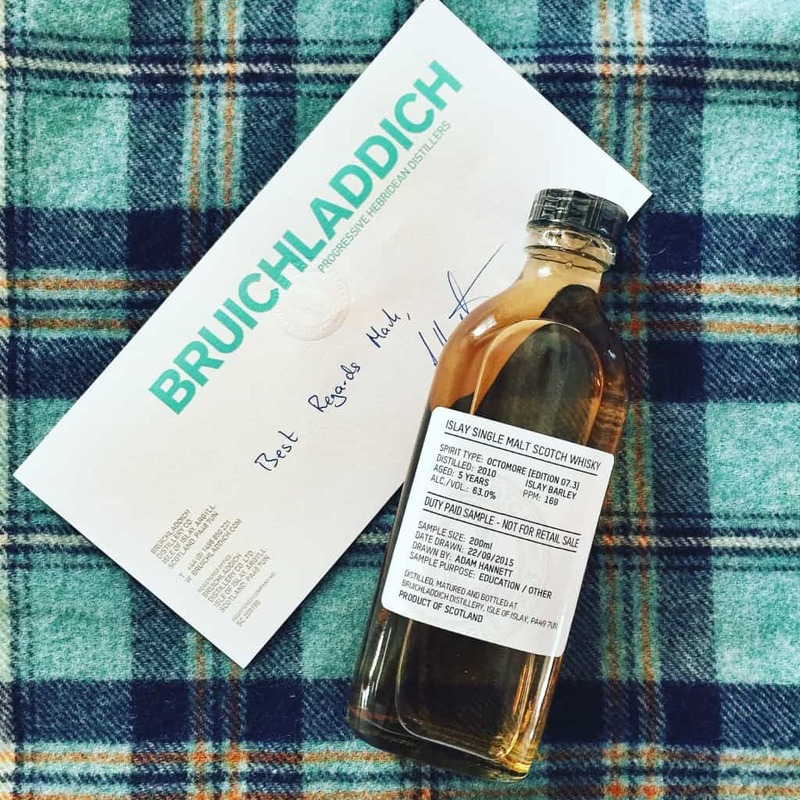 Bruichladdich – the normal malt phenol level – was said to be around 3-4 ppm. So when I say that various Octomores were malted to well over 150 ppm – up to 258 ppm – you get the idea that they are pretty intense whiskies. Interestingly phenol levels decrease during the maturation process, so a younger whisky is going to be more of a smoky bruiser than something older. 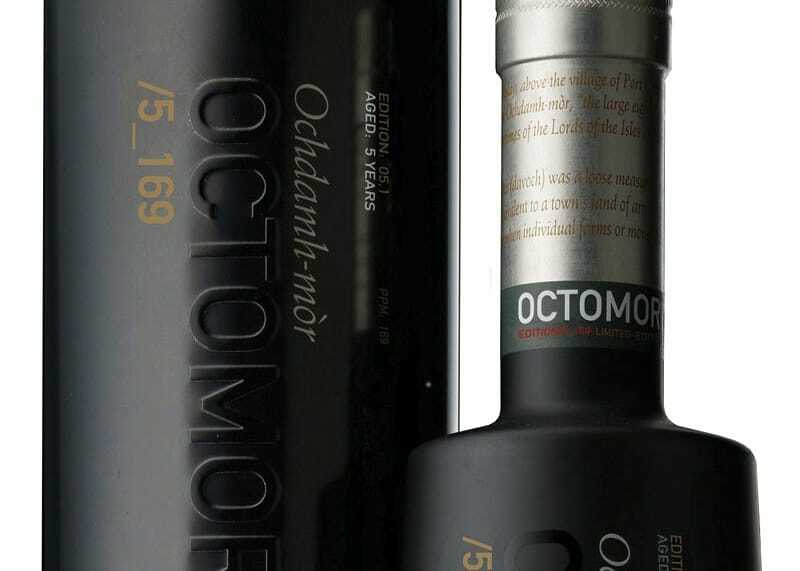 Octomore, then, is Bruichladdich’s hyper-peated whisky. It’s named after Octomore farm, where there was once a distillery. As with so many other farms on Islay, Bruichladdich encouraged the growth of barley for distillation once again on the site. In practical terms that means a reliable, stable income for farmers; and a genius plan to ensure the provenance of spirit remains true to Islay. Octomore 7.3 uses barley farmed only on Islay. You’ll note it’s peated a little less than the previous iterations – a mere 169 ppm compared to 258 ppm. That’s still a heck of a lot compared to other whiskies. 7.3 was distilled in 2010, aged for 5 years, and bottled at 63% ABV. Colour: yellow gold, old gold. On the nose: I’m often amazed at how different the Octomores can be. This possesses a lovely creamy, almost mellow tone. Exceptionally malty with a lot of farmyard, barn doors, hay, almost hoppy intensity – and I think that almost masks a lot of the peat. The fruitiness is that of tinned fruit salad in syrup, with mead-like qualities. Treacle sponge. A flash of vanilla under all that, but not too much. Coastal, too, when I revisit the glass. And the longer you leave it, the better it gets. The sweet, dessert fruits come to the fore and start to challenge the dominant peat. In the mouth: peat smoke, naturally, but again the malty, quite summer-like notes of barns, barley and straw seem to muscle in. Tinned fruit in syrup – much like the nose. Salted ham and marmalade. In fact, Roses Lemon & Lime marmalade spread across burnt toast. Just a touch of ash, but it works here when merged with those farmyard qualities. Now what I think is very good about this is how the salt-water splashes balance with the sweet apricots and honey. Octomores can be a bit overwhelming at times – that’s part of the experience – and perhaps are enveloped by the intensity of the peat and higher strength, but this is something more… gentlemanly. The finish is infinite – salty, citrus, and the honey returns. I really like it. I think when the Islay Barley variants get a little older, and that peat just mellows a fraction, and everything binds together that little bit more, these variants are going to be incredible whiskies. I’m genuinely excited about that future. I’ve spent quite a bit of time with this now and it’s a brilliant whisky. This bottle is now on my Christmas list. I can’t see a RRP for it yet, but I’m guessing it will be about £100. Edit: it’s actually £165… I’d be interested to know why the price difference is so much on last year. But hey, if it’s on my Christmas list then I’m not paying. 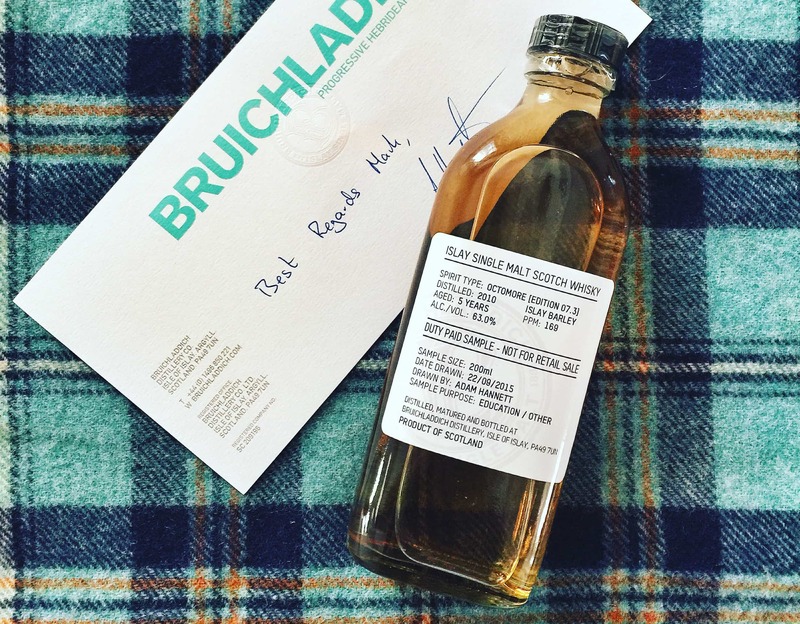 Note: a sample was kindly supplied by Bruichladdich. But samples are always viewed with impartiality! 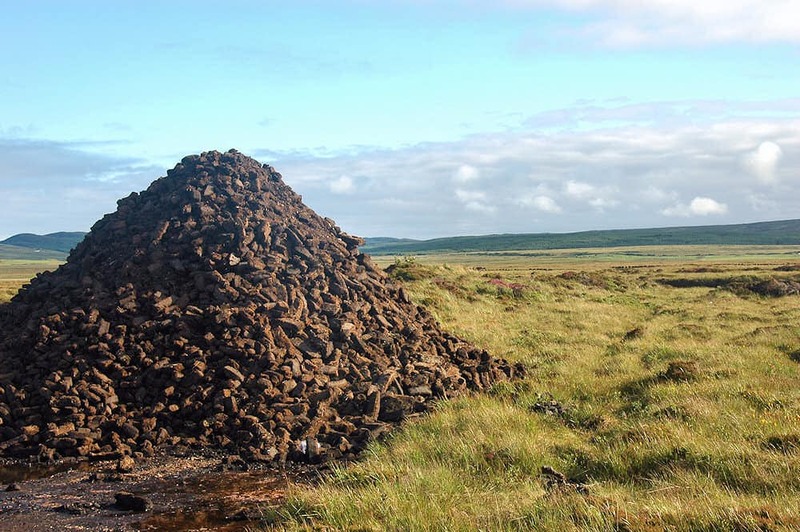 Also the above image of a peat stack was taken from Islay.org.uk. I am a huge Octomore fan and by association a huge Bruichladdich fan. 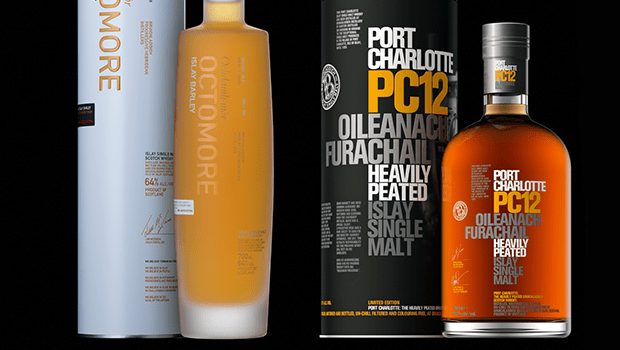 Port Charlotte and Octomore. I bought a bottle of the Octomore 6.3 and 7.1 from thewhiskyexchange (could not find locally here in Texas) and ended up buying a second bottle of the 6.3 to hold in reserve. The 7.1 was good, just not 6.3 good. I haven’t found 7.3 online yet, but I will most defiantly be searching for it. Thanks for the comment and signal boost, Chris! It’s definitely not as big a peat monster, but I think the 7.3 is all the better for it. I really enjoyed it. Thanks for the review, Mark! I’m in love with the Octomore 6.3 because the character is so cohesive that it feels like it teleports me to a farm with a fire in the distance, or a peaty swamp, or a cozy cabin, depending on what the weather is like when I sit outside drinking it. Do you think the 7.3 does the same? I’m worried that the wine finish might make it a more interesting whisky at the expense of the imagery I crave. Hi Ian – thanks for the comment. I think you’ll still be pleased with the 7.3, yes – although it isn’t quite as earthy as the 6.3. It’s more malty and a touch more fruity. I think it’s more farmyards in late summer / autumn than muddy fields in the depths of winter, if you see what I mean!